Ranges came in many forms. They were essentially free standing units that could stand in the middle of a kitchen or be wall mounted. The word 'range' comes from the range of facilities that such cooking ranges provides. All would have a fire, a hob, an oven and often two ovens, a warming box and often a water heater, which may be built in or free standing on top of the hob unit. 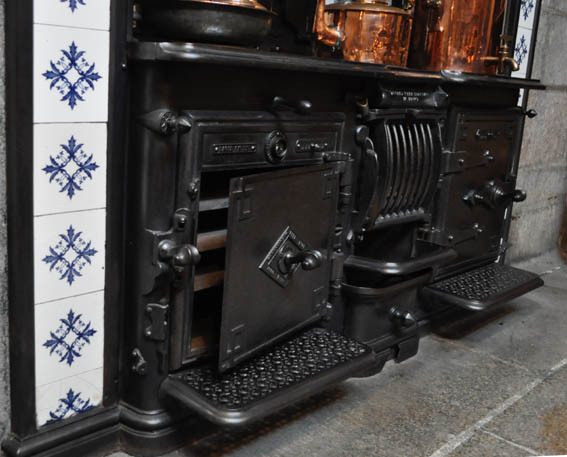 Like all cast iron and steel cookers, these would have to be black leaded at regular intervals to prevent rusting. The flues would have to be cleaned regularly and the surfaces would often be dusty with ash from the fire after use. Ranges were popularly used in medium and large houses in the UK between 1800 and 1920. From the 1930's to as late as 1960, many houses in the UK were fitted with a Yorkist range. The ranges were enamelled in cream or brown to alleviate the need to use black lead. 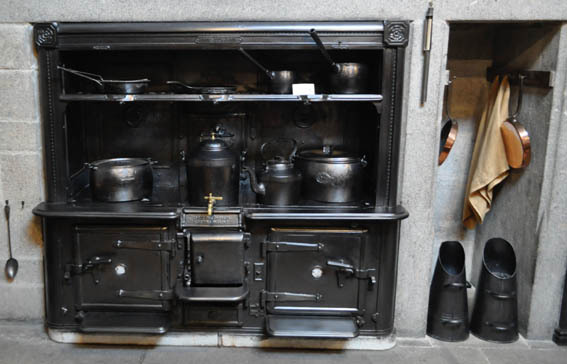 This type of open fire had a flue serving a hot oven at the side, a warming oven above and a water tank at the back which was plumbed into the house water system to heat the water. Whilst the fire was lit, this gave constant hot water feed to a hot tank, sufficient to run a bath or do the washing. The oven was functionally hot all day long and residual heat loss aided to warm the room. These ovens were ideal for baking bread at any time of day. 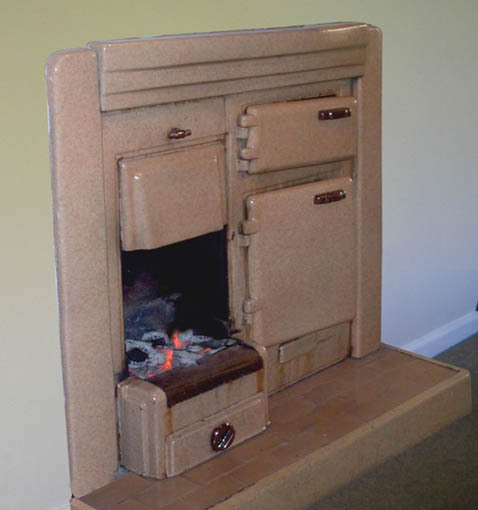 In these modern ranges, side firebricks could be fitted into the grate to limit the width of the fire. This allowed a more economical use of fuel. The ash tray was also fully enclosed and a tiled hearth was there to keep the mess of the fire from the carpets.